Stencyl is a game creation platform enabling developers to design once and play anywhere across multiple platforms including iOS, Android, Flash, Windows, Mac and Linux without the need for code. The platform is recommended for children above 10. Stencyl effectively works as a game studio in a box, providing an intuitive toolset to accelerate workflow. The visual coding elements based on the MIT Scratch project. The software is available for free, with select publishing options available for purchase. The software was originally called “StencylWorks” while in development and for the initial release, but was later shortened to just “Stencyl”. Games created in Stencyl can be exported to the web via Adobe Flash Player, and to personal computers as executable games, as well as onto various mobile devices as iOS and Android applications. Physics and collisions are managed by Box2D, which can be selectively or completely disabled to decrease any potential performance impact for games that don’t require full physics simulation. 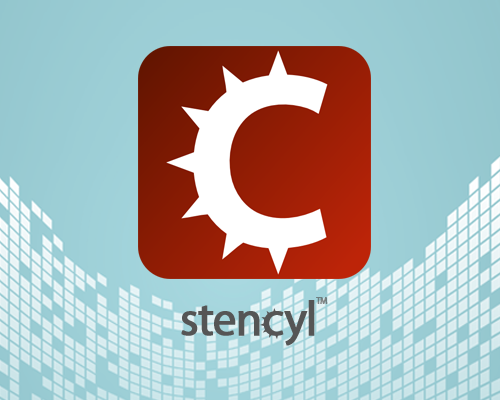 Stencyl offers almost everything GameMaker: Studio offers while being free and just as easy. Android game development does not have to be hard or cost money. 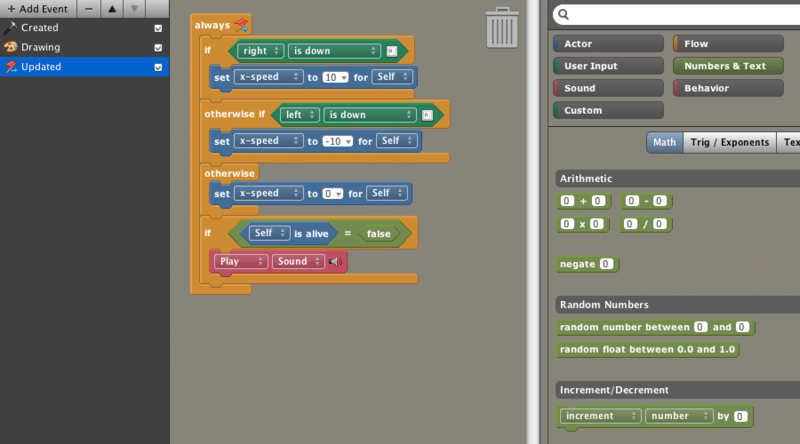 The program uses a drag and drop interface to make the logic in games. If you click on any actor behavior in this example you will see a big block of conditions and pseudo code that powers that behavior. This looks pretty intimidating but have no fear, all of this goes with your intuition. Everything is also color coded that corresponds to what part of the right-most toolbar that line came from. Speaking of that toolbar there are 13 different menu items you can click on with sub-menus and blocks that can be placed. As it is a visual programming language, Design Mode users are not required to learn or type out a particular programming language, nor must they concern themselves with syntax.